The family of Francisco Franco will take possession of his remains after they are exhumed, one of his grandchildren was reported as saying on Saturday. 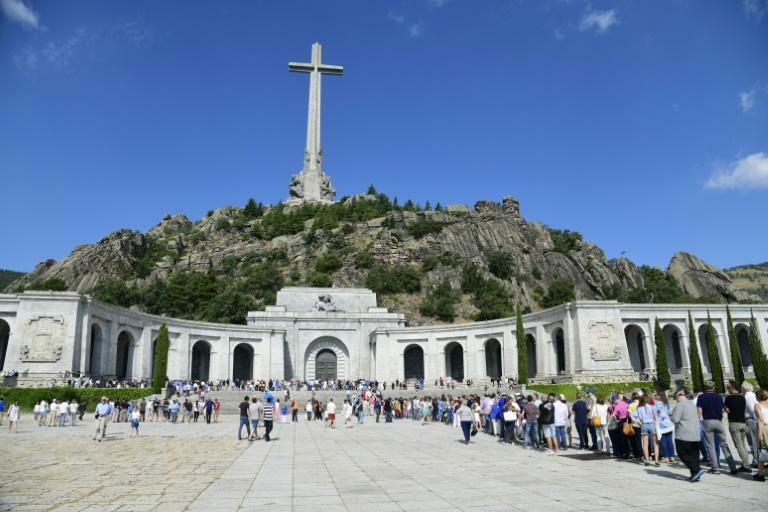 Spain's Socialist government under Prime Minister Pedro Sanchez on Friday passed a decree allowing for the exhumation of the dictator's remains from a vast mausoleum in the Valle de los Caidos (Valley of the Fallen) near Madrid. "Of course we will take care of the remains of my grandfather, we will not leave them in the hands of the government," Francis Franco, one of the general's seven grandchildren, told conservative daily La Razon. The decision to exhume his body -- probably by the end of the year, according to Deputy Prime Minister Carmen Calvo -- has divided Spain and opened old wounds. Critics say it is unacceptable to give such ostentatious recognition to a brutal dictator. But others who remain nostalgic for the Franco era are opposed to the move. And then there are those who believe his remains should stay there because the monument is part of Spain's history. His family had objected to the exhumation in a letter to the abbot responsible for the imposing basilica where his remains are laid. However, Calvo said if Franco's family refused to transfer his remains to the family vault, the government will pick a spot to bury him. "I think they are going to exhume it by force, and then we will see if it was done legally," the grandson told the newspaper, saying the family was not planning to challenge it because spending money to oppose the government would be "a waste of time". General Franco ruled Spain with an iron fist from the end of the country's 1936-39 civil war until his death in 1975. Built by Franco's regime between 1940 and 1959 -- in part by the forced labour of some 20,000 political prisoners -- the mausoleum holds the remains of around 37,000 dead from both sides of the civil war, which was triggered by Franco's rebellion against an elected Republican government.